Captain Thomas’ e-mail with attached photograph sparked my interest to the degree that I scheduled a trip to Cheraw in an attempt to unscramble the mystery surrounding this man’s death. After spending several hours going through records at the fire department and the Cheraw Archives, I left with very little more information than when I first started. Driven by growing curiosity of the unfound narrative, I visited the Florence County Library & Archives to seek advice from Margaret Collar, Curator of the South Carolina Room, who helped me find the answer. An early census lists Mr. Hough as a barber who may have worked in a shop located in or next door to the Ranard Hotel. Then, from a “Special” to The State newspaper dated October 10th, 1914, the account of this man’s death is finally disclosed. It seems that from the Ranard Hotel around midnight Mr. Hough observed a fire burning in Davis & Brothers store across the street. Having lived and worked in Cheraw for a period time, Mr. Hough knew the fire bell, used to alert the volunteer firemen, was attached under the water tank, located a block and a half down 2nd Street. Being a young man, Mr. Hough probably ran with adrenaline pumping to sound the alarm. Incredibly, while pulling the rope attached to the 700 lb. bell, the frame on which the bell hung failed causing the bell to fall over 100 ft. and crushed the good samaritan causing his death. The article further states that the fire did “considerable damage” to the building, and the stock was damaged at least 50 percent by the fire, heat and smoke. It further says that Mr. Hough was a man of fine qualities, highly respected and leaves behind a widow and several small children. In researching this story, I found some interesting facts about Cheraw that further paints a picture of the day. In 1914, Cheraw was a growing community with 3,000 residents and enjoyed a significant transient population requiring four hotels to accommodate their needs. There were no paved streets, only sandclay thoroughfares. The steel water tank on which the fire bell was affixed stood 112 ft. near the fire department and had a 100,000 gallon capacity. 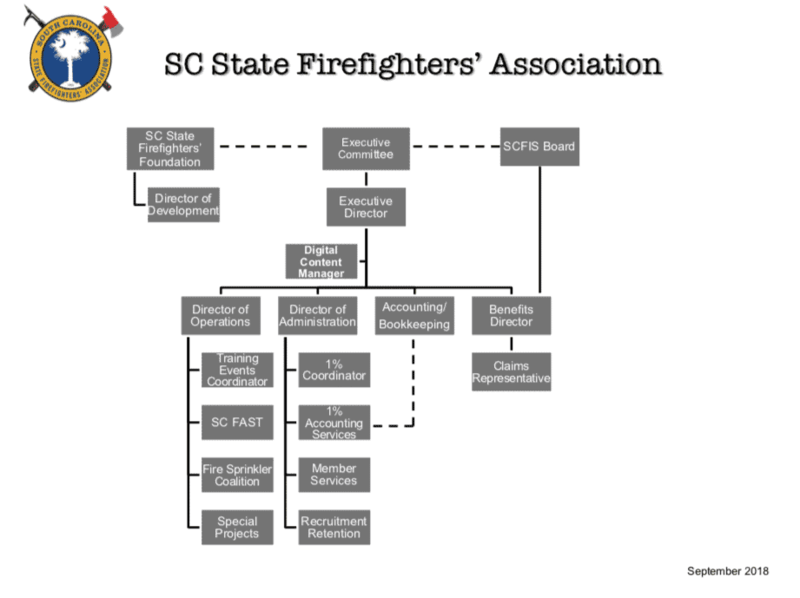 And, according to the Sanborn Maps of South Carolina, the Cheraw Fire Department consisted of one volunteer Chief, two Captains, 24 volunteers, two hose reels with 500 ft. of 2 ½ inch hose, one hand drawn hook & ladder truck. A water system was completed a year earlier in 1913 which provided a number of hydrants around the town for fire protection. Interestingly, the hook and ladder truck was merely a wagon pulled by a number of firemen and carried a complement of ladders, pike poles, axes and other tools. Their mission was primarily to remove contents from a burning structure and to remove exposures in order to contain a fire to the building of origin. A fascinating story! My thanks to Captain Mac Thomas, Chief Murray, firefighter Tommy Creech, and Margaret Collar for helping with this article. 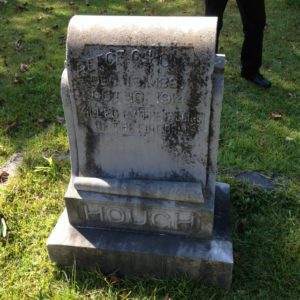 I am interested in locating any relatives of Mr. Hough who may have additional details that would further the story’s historical significance. As always, very interesting reading from the Association Ambassador, Carter Jones! Nice Story, Let’s keep our history alive and not let it but lost to the graves of our forefathers. Agreed Virgil. Our history is important, and I am glad Carter is helping us capture it and share it with future generations.